As political polarization becomes more extreme, early childhood education unites American voters. In fact, 79% of voters—including 80% of Trump voters and 79% of Clinton voters—want Congress and the administration to work together to improve the quality of child care and preschool, and make it more affordable for parents. At a time when divisive rhetoric, calls for resistance, and partisan distrust dominate the political headlines across the country, public support for investing in quality early childhood education from birth through age five has emerged as a unifying issue among American voters of every political persuasion. 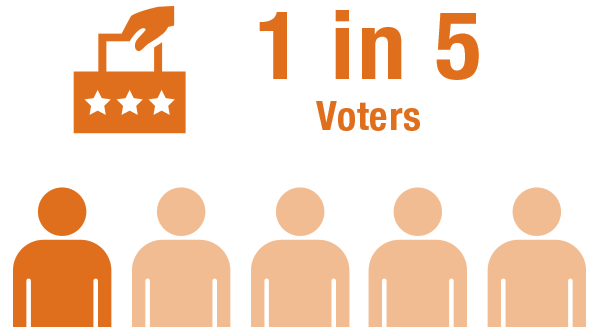 The First Five Years Fund’s 2017 national bipartisan poll found that every single proposal tested—including expanding the federal partnership with states and communities through grants to improve access to preschool, tripling the current child care tax credit, and even providing greater funding for programs like Head Start—received overwhelming voter support regardless of partisan affiliation. Making quality early education more affordable is a bipartisan priority. 89% of voters support making quality early education for children from birth through age five, including child care, more affordable for working families to give children a strong start. This support transcends partisan lines. Voters see a critical lack of early education programs in their area that are high-quality and affordable. In fact, respondents making over $100,000 per year are virtually just as likely (46%) as those who earn less than $40,000 per year (51%) to say that only some or few programs near them are affordable and high-quality. 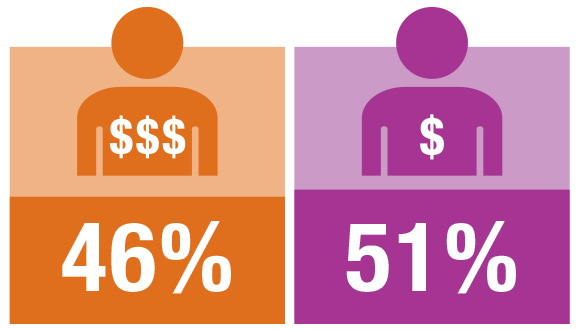 There is strong support for essential investments in quality early childhood education from birth through age five. 57% of voters say they would have a more favorable opinion of their member of Congress if he or she supported increased funding for quality early learning and care. Members of Congress who may have reservations about supporting funding for more families to have access to quality child care and preschool should not worry about alienating voters. Only 6% of the electorate says they would have a less favorable opinion of their member if he or she voted in favor of increased funding for quality early learning and care. Only 21% of American voters say Congress and the president are paying enough attention to early childhood education. 58% of voters say that Congress and the president are not giving early childhood education the attention it deserves. As efforts on tax reform continue to heat up, voters support proposals that help parents better afford quality child care. 81% of the electorate—including 74% of Trump voters—support providing a child care tax credit to help parents better afford quality child care and early education programs, with low- and middle-income parents who need more help getting a larger credit. And 70% say we should increase the amount of the existing child and dependent care tax credit from $3,000 to $9,000 for one child to better reflect today’s child care costs. That includes 60% of Trump voters. 85% of voters say there should be increased funding for child care that directly supports greater access to quality programs for low- and middle-income children while their parents work or attend school. 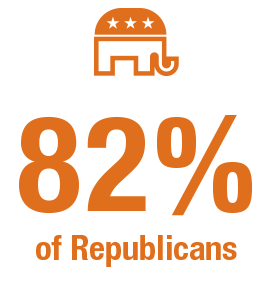 Majorities across partisan lines agree—74% of Republicans, 79% of Independents, and 97% of Democrats. 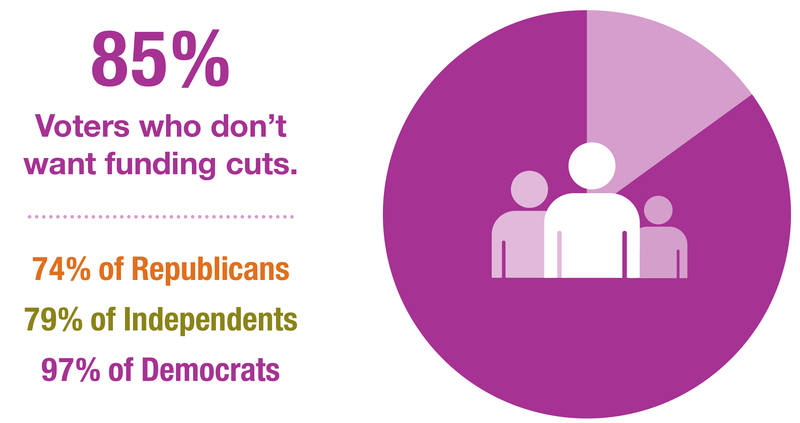 Only 10% of voters say federal funding for child care and preschool should be cut. Americans know that high-quality early childhood programs pay off. 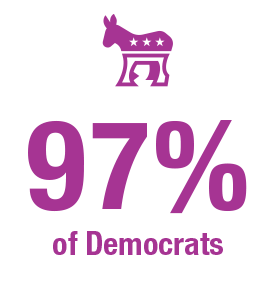 74% of the electorate says that quality early childhood education sets children up for academic success in elementary school, and 69% of voters say high-quality early childhood programs lead to a larger pool of highly skilled workers in the long term. 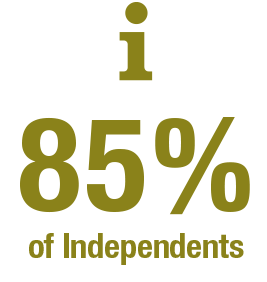 Perhaps that’s why 86% say that child care should include early learning to prepare children for success in school and life. Methodology: Public Opinion Strategies (R) and Hart Research (D) conducted a telephone survey of N=1,000 voters throughout the country on both landline and cell phones. The survey was conducted April 28-May 2, 2017 and has an overall margin of error of +/- 3.10%. The sample was distributed proportionally throughout the nation and is demographically representative of the electorate. American voters agree: ECE must be a priority for Congress and the administration.